A funny thing happened on the way to hog slaughter this year; after much talk of the domestic herd swelling in size - and a setback after Hurricane Florence hit North Carolina which should have normalized by now, analysts expecting a a spike in slaughter rates have been left scratching their heads over a puzzling shortfall, according to Bloomberg. 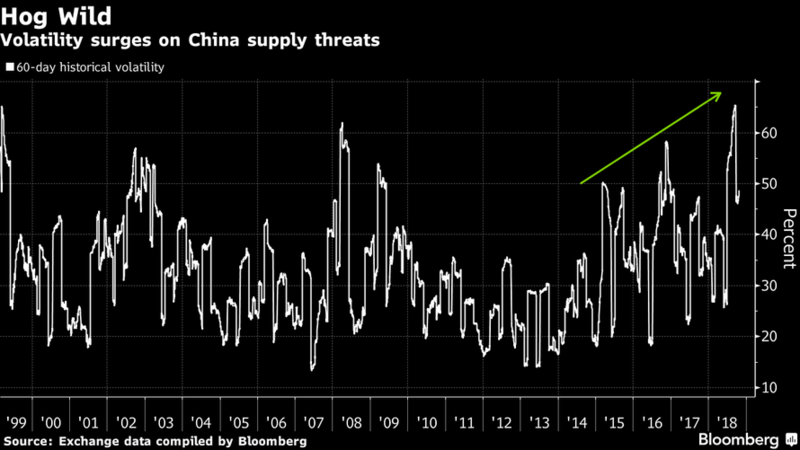 Further compounding supply woes is a highly contagious pig virus, African Swine Fever, which is spreading rapidly through China - the world's #1 consumer of pork. Several new outbreaks of the disease were reported his week. The spread of swine fever in China is increasing the chances the Asian nation will need to import more of the meat, according to Cobank. China would likely buy from the European Union and Canada, but American producers could still capitalize on the reduced global competition in pork, the U.S. agricultural lender said in a report Tuesday. 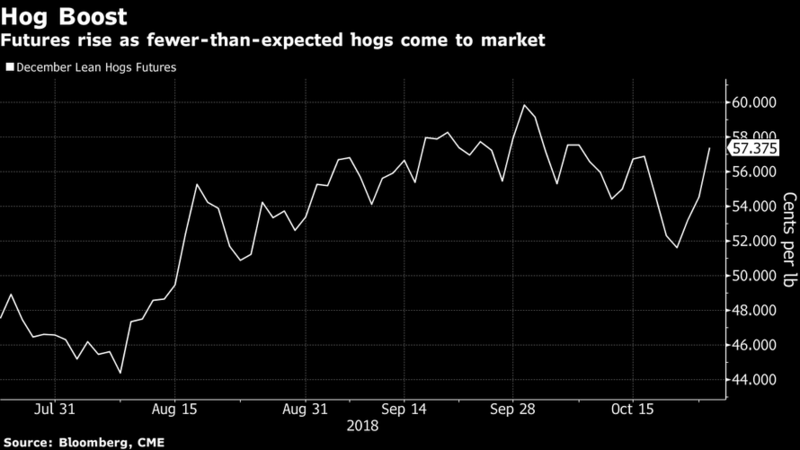 The combined factors sent hog futures up by the exchange limit of 3 cents on Wednesday, settling at 57.525 cents a pound - a spike of 11% this week. 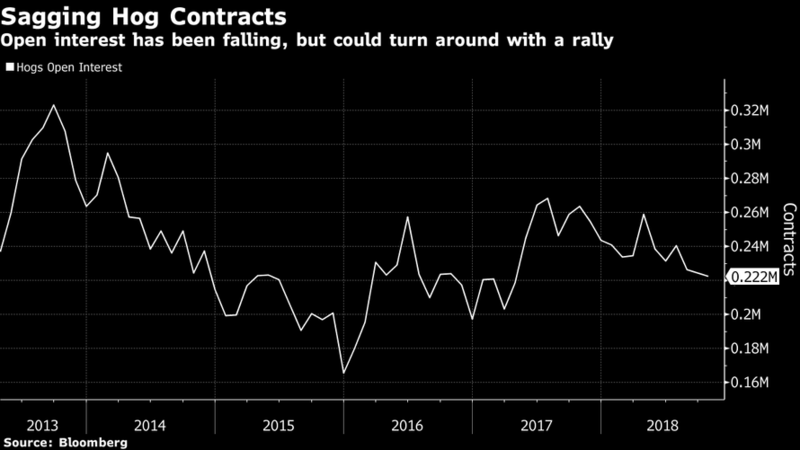 "We don’t have this backup in market hogs like we expected," said Rich Nelson, chief strategist at Allendale Inc. in McHenry, Illinois - who suggested that perhaps USDA estimates of rising animal inventories may have been improperly calculated. Nelson says that the industry had anticipated a prolonged slaughter this year, topping 2.6 million animals per week - yet the actual figures have been consistently lower than expected, and are unlikely to breach the expected figures until just before Thanksgiving at this point. "Where are all of the hogs?," asked Archer Financial Services senior account exec, Dennis Smith last week. "We’re missing 4 percent to 5 percent" of the expected supplies, he said.